Wow, I feel like I finally have the time to continue with my blog. I'm not a very creative writer and often have difficulties figuring out what to write. I will give it another try though and see where it leads me. 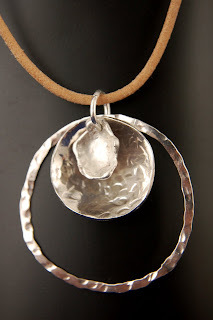 Been working immensely on a new line of sterling silver jewelry. Very simple, yet classy and timeless. 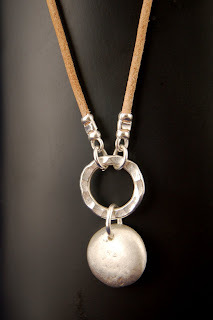 I really like the look of a silver pendant on natural leather string. Something earthy and organic about it. I love it. Been posting some of those new pieces on Etsy this past week. I will be adding more jewelry this weekend! Looks like it is going to be another rainy weekend, so I am planning on spending some more time in my studio to, guess what? 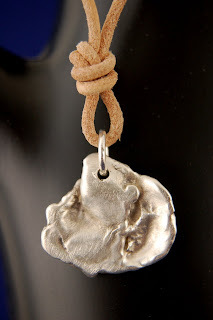 Create more jewelry!